In looking at colleges, you might have considered a public school what with reciprocal or in-state tuition, compared to a private school like Loyola. That was definitely the pull for me away from Loyola, but all the other things brought me back! Of course, I do have friends from the Chicago area, or from nearer states like Wisconsin and Michigan. And though I’m not as far away as, say, New Jersey, the distance does present some obstacles- and some opportunities. If you’re hesitant about a school because of its distance, let me tell you: it will be okay. First off, your experience is what you make of it. I call my parents once a week (and/or if something really exciting happens), but I have friends that call twice a week, three times a week, or only once in a while when they remember. Some take the train back home for breaks, or don’t go back at all. Me, I take the plane – it might not seem so, but you can definitely find cheap flights at my distance. And the school provides a U-PASS allowing for unrestricted transport on the L, so I don’t have to be shelling out for an uber each time. And there’s plenty of opportunity to go home or have people come here, whatever suits you – from Parent’s Weekend to Easter Break, it’s pretty nice. Second, they’re well aware of travel costs. If you’re a really far-away student, over the summer you can ask to be assigned to the very last Orientation with the Honors and International students that takes place right before the rest of the school moves-in, so you don’t have to make two trips. You might not know this, but you can also request extended stay (though not infinite) in the dorms over summer break, or stay here over winter break should you please as well. Third, being from a distance makes Chicago all the more fun to explore! Going into this year, I knew very few things about this fair city. Navy Pier, yeah, and Chinatown, the Mag Mile, and like, there are some cool towers and cool zoos. Not that I didn’t absolutely adore it regardless, but now I feel really accomplished when I can picture where the neighborhoods are on the Red Line or estimate how far away something is, or even be walking downtown and actually know where to go instead of just consulting the skies. Of course I’ll advise taking everything into account when you’re picking a college, but this is just to say that distance, at Loyola, is not the biggest or most important factor. The deadline to decide is May 1, so think carefully! Spring is in the Air… Now What? Finally you can leave your dorm without your parka and winter boots, now what the heck are you going to do! Since making the trek to the L isn’t like taking a walk through the tundra, the options are virtually endless. So what are you going to do? Here are some of the things that I am going to do with this non-polar weather! 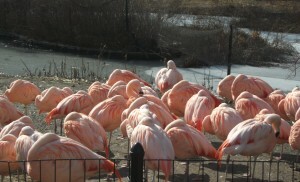 The first place I definitely want to visit this spring is the Lincoln Park Zoo! In addition to the fun of going to the zoo and being a kid for the day, its also FREE! Yes, it’s free, which as a college student is one of the most important aspects of any activity. 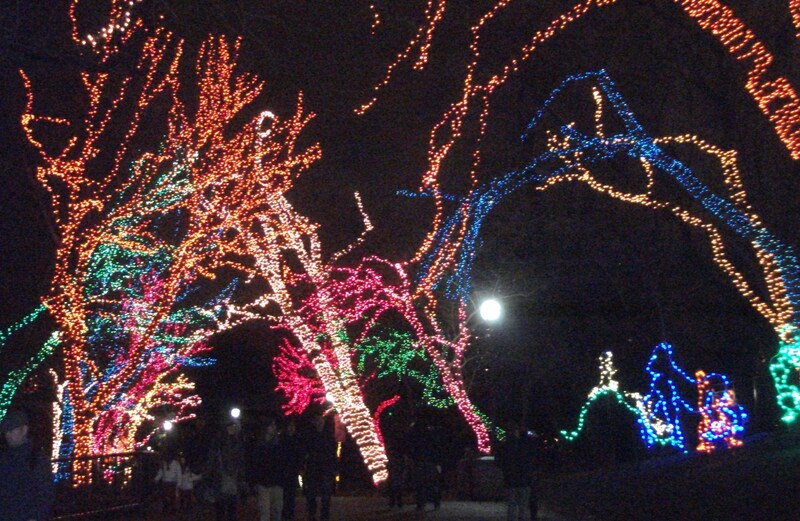 If you didn’t make your way to the zoo for Zoo Lights around Christmas, this is a great opportunity to experience Lincoln Park Zoo! One of Chicago’s most famous land marks is also a great place to visit this spring, and it’s Navy Pier! You can’t live in Chicago and not visit Navy Pier at least once. This spring Navy Pier is getting a face lift with a brand new, even bigger ferris wheel. The ferris wheel won’t be open till the summer, but, there are plenty of other things to do. Navy Pier offers daily cruises around the Lake Michigan coast, and also currently has a garden exhibit and the Chicago Shakespeare Theater (currently playing Othello). Navy Pier is a great field trip place, even if you aren’t interested with any of these things, it’s just a great place to visit! Something to do when the weather gets even a little bit warmer than it is now is Kayaking on the Chicago River! Yeah, you actually can do this. 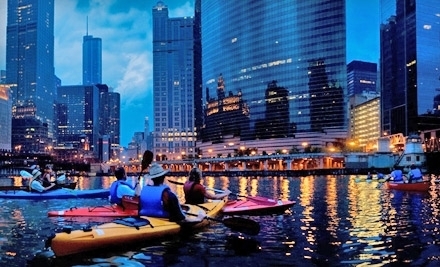 You can rent Kayaks from Kayak Chicago, Urban Kayaks, or Wateriders. Kayak Chicago rents kayaks for $20/hr or $80/day. This is such a fun and unique activity, plus like everyone who takes snapchats while river kayaking gets on the Chicago snapstory! Spring time is also a great time to visit any of the museums in Chicago. 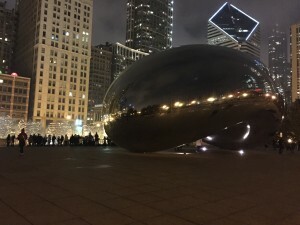 Aside from the big museums like the Field Museum, the Art Institute, the Science and Industry Museum, or The Shedd, Chicago also has smaller museums like the Chicago Museum of Contemporary Art, the Chicago Children’s Museum, the Museum of Broadcast Communications, and many many more! Of course my favorite thing to do when the weather is nice though, is shopping! Michigan Avenue is one of the best places to shop in the country and is of course right in the heart of Chicago! You can take the campus shuttle right to Water Tower campus and be right there! Take a walk down Mich Ave and hit up any of your favorite stores as well as taking a basic pic at the bridge over the Chicago River. 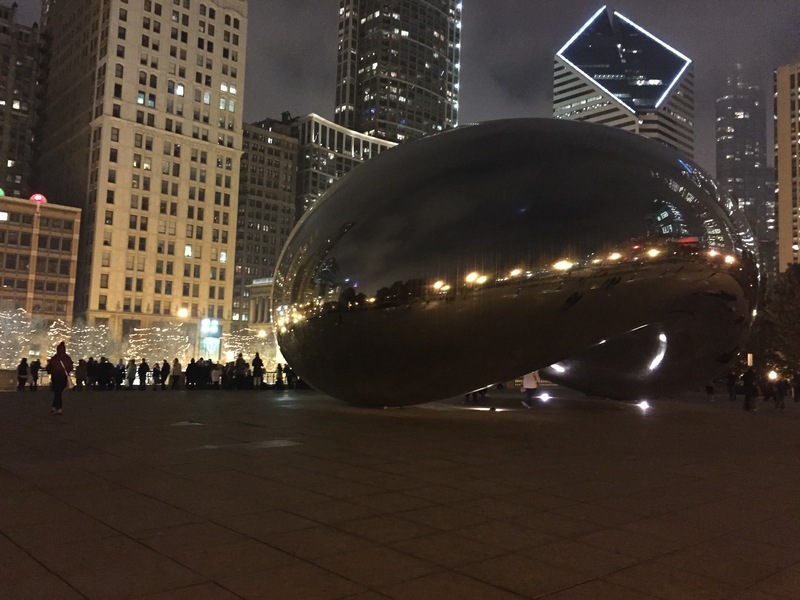 Take advantage of the amazing things around you while you live in Chicago, there are so many things to do to help get your mind off school for a while. It’s a great incentive to going to Loyola and I appreciate it everyday! Have fun! I love this time of year. And especially all the traditions that come with it. 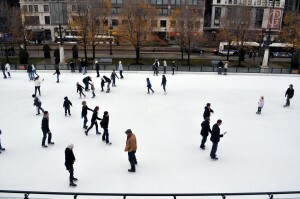 Visiting family, exchanging gifts, and baking way too many Christmas cookies, then come the Chicago traditions: ice skating at Millennium Park, visiting the Christkindlmarket, and heading to the Lincoln Park Zoo for the ZooLights. 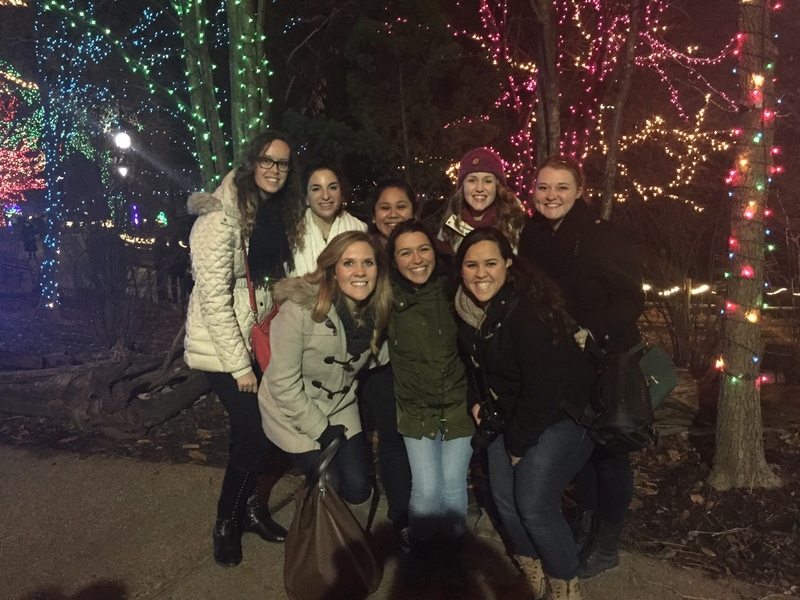 On Saturday night, a group of my friends enjoyed a little bit of Christmas magic at the zoo. I was blown away by how many light displays covered the zoo. I would love to know just how many hours it took to set up and just how many light bulbs light up each night. 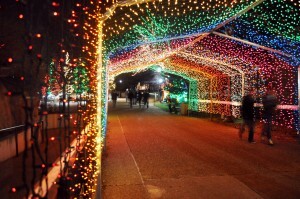 They sure have a way with turning the whole zoo into a Christmas wonderland. Don’t drive. Traffic near the zoo is absolutely insane. 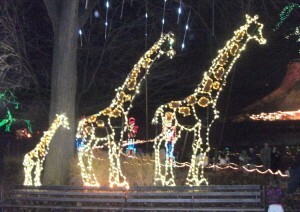 Who knew other people wanted to see the ZooLights too? I would strongly recommend taking the L or the bus to avoid all that, it may have taken us just as long to find parking as it did to see the lights. But if driving is your transport of choice, be sure to have good holiday tunes and snacks handy so that you can at least enjoy the extra driving around. Dress warm. This should be obvious, because it is winter in Chicago after all. I underestimated how long we would be outside walking around, especially because of our far parking spot. Bundling up and wearing comfy shoes will make your lights experience all the more cheerful. Let yourself be like a kid. 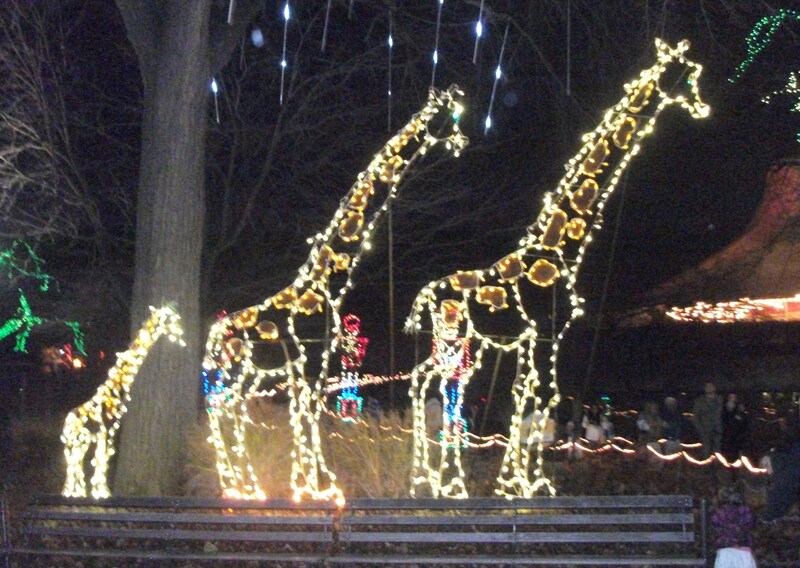 The ZooLights is very much a family oriented environment, so take a hint from all the kids that are bound to be running through the crowds. 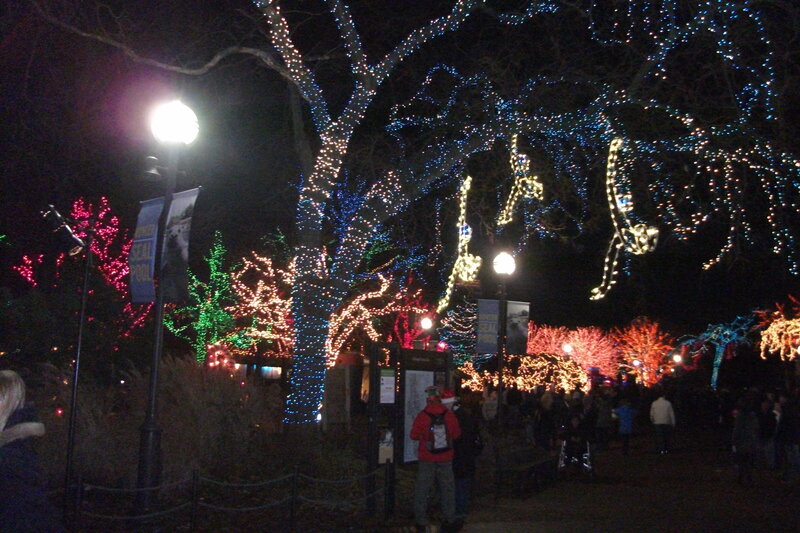 The lights look absolutely magical all through the zoo, enjoy it! 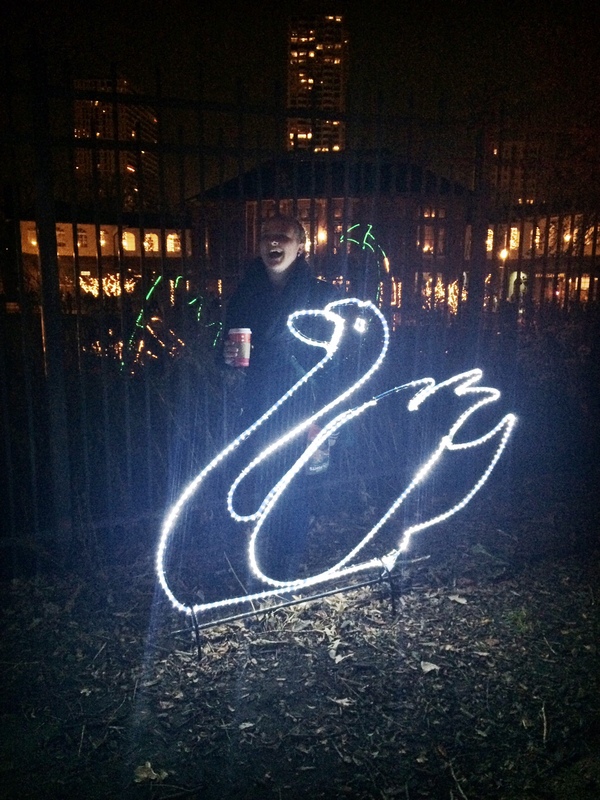 And don’t be scared to pose by your favorite animal made of lights–the swans and I enjoyed our photo shoot. Be cheerful. Sure it’ll be cold and there will be crowds, but keep in the holiday spirit. My friends and I strolled through the zoo while singing along with the Christmas carols playing over the speakers, eating chocolate covered pretzels, and drinking hot chocolate. We may have been a little too cheerful for our own good. 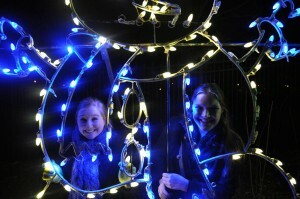 This city is full of all kinds of holiday events and I’ve loved having them become college-holiday traditions for me. Thanks Chicago, for spreading so much Christmas joy. The 3rd largest city in the United States is home to a few surprises. I’ve always felt that Chicago was special, but here’s some facts that will have you convinced as to why this city truly is the best. In 1893, the Ferris wheel was invented in Chicago. Navy Pier’s iconic Ferris wheel is right at home. Deep-dish pizza was in fact invented in Chicago. Making it practically wrong to come visit and not enjoy one for yourself. There are 4 states visible from the top of the Sears (Willis) Tower. The brave souls who go up to the top can see Illinois, Indiana, Michigan, and Wisconsin. The 4 red stars of Chicago’s flag represent Fort Dearborn, the Chicago fire, the World’s Columbian Exposition, and the Century of Progress Exposition. The six points of these stars represent important virtues or concepts. I’m glad to know it’s more than just a pretty design. 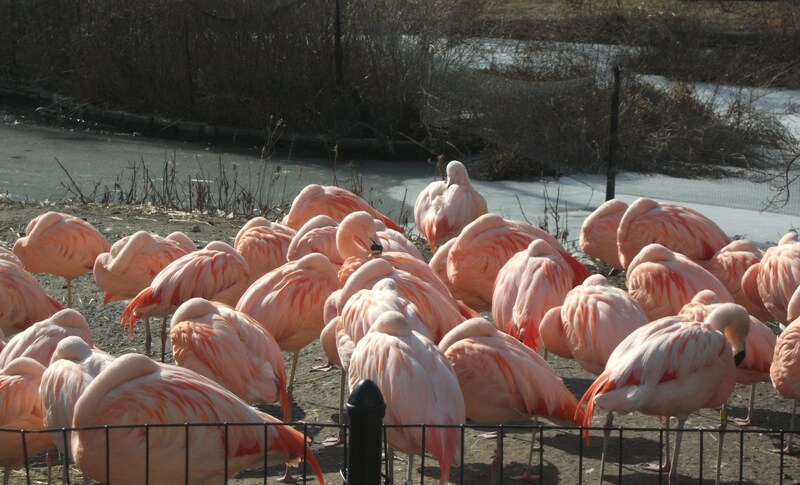 The Lincoln Park Zoo is one of the last free zoos in the world. A bear cub bought for $10 in 1874 was the first animal to call the zoo home. Cool, right? Check out the BuzzFeed article by Lara Parker to learn 44 more facts about the city. Because there’s more to the Windy City than Michigan Avenue and a breeze–the nickname “The Windy City” is actually thanks to “long-winded politicians”, not the weather. Chicago is certainly a city to be proud of. I’m grateful that Loyola calls it home. The longest school week of this semester thus far is over! Tonight, I’ll finally get a good night’s sleep. Now that I got that out of my system, enough school talk. My agenda for this weekend, other than homework, is to get registered to vote. Though I know nearly nothing about what is going on in politics today, I plan on doing some research, and I hope to make a decision so that I can vote in the upcoming election. I also think that the zoo is the perfect place to go this weekend. Since the weather looks like it is going to compromise tomorrow, Lincoln Park Zoo, or any zoo for that matter, should be where all the cool kids go this weekend before it gets too cold. I’m hoping to see some lions and tigers and bears, but my weak spot is the monkeys and the snakes, which will be one of the first destinations. Okay, so since school is consuming my life, I will turn the blog back to my classes and homework. I must say that one of my most nerve-racking moments next week will be when I do my scene performance from the play “The Glass Menagerie” by Tennessee Williams. I read the play last week, and for those of you who have read it, you know that playing the characters will not be easy because they are so complex. I’ll be playing Laura, and this weekend I’ll be memorizing my lines and trying to get the character down. I will update on how it’s going next week. I can bore you all with more school details, but I’ll do that later after I get further ahead with my work. Just a bit of advice though for all the hard workers out there: If you have to pull late nights, meet your new best friend Coffee. It holds two very important qualities for a successful friendship- it’s rejuvenates you and is very eye opening. July is rapidly approaching, which means that half of my Loyola summer is officially over. Two months ago, I was stressing over my finals, and in two months, I’ll be back in the classroom, brainstorming ways that I can convince my professors to give me As (I know- a good start is by doing the homework and studying). Went to my first wedding with a best friend of mine, and took the Amtrak train for the first time to get there. I did not think that I would be hearing country music at a wedding, but I was on cloud nine when I started to hear song after song of pure country bliss. I downloaded “God Gave Me You” by Blake Shelton and “Country Girl (Shake It For Me)” by Luke Bryan the moment I got back from that trip. Went to one of Chicago’s Full Moon Jams. This firedance is held once a month during the full moon during the summer months in Chicago right off of Lake Shore Drive. Right after the sun set, drum playing began along with a group of people dancing with fire (using hula hoops, batons, fans) in a ring. My favorite part of it? When these two guys started blowing fire out of their mouths like dragons. Going to Lincoln Park Zoo and seeing this awesome juggler performing near the Polar Bears (or technically, where the polar bear SHOULD HAVE been but WASN’T- I will not cry…). There was a small crowd gather around him as he did awesome tricks that I’d never seen before. One trick was that he stacked several objects (I think it was a flat wooden stick, two balls and a wine glass), one on top of the other, and balanced them using his mouth while juggling two balls in each of his hands. If you don’t understand this…well, I didn’t understand how he did it. Hopefully he’ll perform there again! Going to see the performance of Cirque du Soleil- Dralion for my birthday this weekend with my mom. I’ve seen Cirque du Soleil once before and they did not disappoint, so here’s to round two of acrobatic awesomeness! Seeing the Fourth of July Navy Pier fireworks downtown this year. I saw them several times before, and it was breathtaking. The view of them bursting over the lake is definitely not one to miss- even if it takes four hours in traffic to get downtown to see them. Along with these events, I plan on having some smaller adventures as well, like: finally seeing Buckingham Fountain, going to Six Flags Great America and hopefully going to the Shedd Aquarium. Maybe July is my month to do all of them! I have two jobs while at school: babysitting and this blog. Sometimes while babysitting I get to do really fun things with the kids like take them to the park or to a museum. This past Friday was one of those fun days as we went to the Lincoln Park Zoo. The Lincoln Park zoo is special/awesome because it is completely free! It is located in Lincoln Park on Cannon Dr. It is very easy to get to. One of the boys I babysit was the most excited to see the Seals, so that is where we went first. After the Seals, we saw: Tigers, Bears, Wolfs, Monkeys, Snakes, Otters and Polar Bears. As we were leaving the zoo, the kids saw a face painting station and we had to stop. 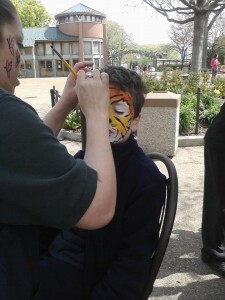 They had dozens of different animals and designs that anyone could get their face painted to look like. It was great! One of the kids got a Lion while the other got a Blue Dragon. We had a great day at the zoo and even as we left the kids were asking their mom when they were going to get to go back. Thursday night my friend, Natalie, decided to come up for the evening to go to at the Adler Planetarium for, Adler After Dark. This is the friend, who I mentioned in an earlier blog, graduated last semester. Living in Joliet, she is only a Metra ride away! I’ve never been, or even heard of the Adler After Dark, but it turned out to be a 21+ event and there was a DJ. It seems each one also has a theme, and because of its proximity to Valentine’s Day, this one was chocolate. We scored some free chocolate and roamed around where we saw live demonstrations of various experiments, one involving a flower and liquid nitrogen. There was also plenty of interactive activities and videos. Friday, Natalie and I woke up just in time for some McDonald’s breakfast. I don’t know if this is a big deal to anyone else, but within my group of friends, its like one of the greatest accomplishments one can achieve. On our walk to McDonald’s, we also realized it was a gloriously and unusually nice day, so in addition to the shopping we had planned, we decided to first hit up the Lincoln Park Zoo. It seems as if some renovation is taking place there, as many of the exhibits were closed, including the penguins! This did not hinder our trip, as there were many other the animals out for the beautiful day. Including the flamingos! 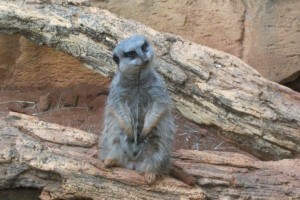 Of course, one of my favorite animals to see at the zoo are the meerkats! They are seriously so cute. 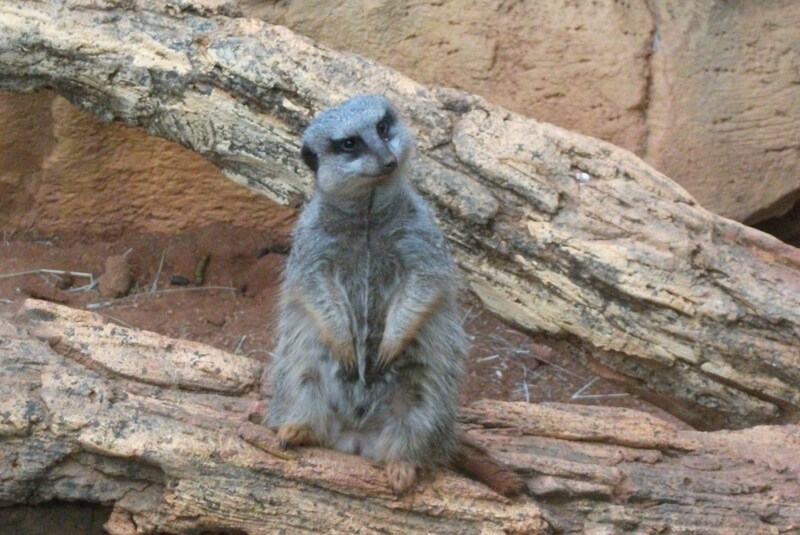 I’ve also noted that compared to the ones in the wild, the meerkats at the zoo have a little something extra in the middle, but that just makes them that much cuter! After the zoo, we hit up Wow Bao for lunch at Water Tower Place and then got our shop on. It was a really great day and I hope Natalie can visit again soon enough! With finals week quickly approaching, my friends and I knew this was the last weekend of the fall semester we would be able to let loose in the city. 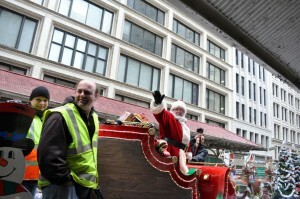 We had high hopes for a fun-filled, holiday-themed weekend and boy did the Windy City deliver! With plans for an ugly Christmas sweater party on Saturday, a few girls and I set out after classes on Friday in search of ugly sweaters at Ragstock on West Belmont Ave, a quirky, fun resale-type shop in the Boystown neighborhood of the city. I was looking for something sparkly and unnecessarily festive– I found a kooky, comfy, white pullover sweatshirt with Christmas teddy bears on the front. It was very ’90s and perfect for the party, and only $10! 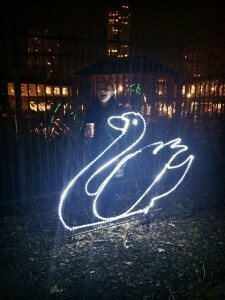 Later Friday evening, like my fellow blogger Raven, my friends and I headed to the Lincoln Park Zoo for the opening of the ZooLights event. The zoo puts on all kinds of events all year round– one of the greatest things about this is that admission is always free. During the month of December, ZooLights is open in the evenings from 5:00-9:00 p.m. with all of its colorful lights on display.We watched a man carve an ice sculpture right in front of us, got some popcorn, and ran into Santa in the Kovler Lion House next to the king of the jungle himself! If you want to check it out, head over this coming weekend (December 9th-11th), or any night between December 16th and January 1st (except Christmas Eve and Christmas Day). 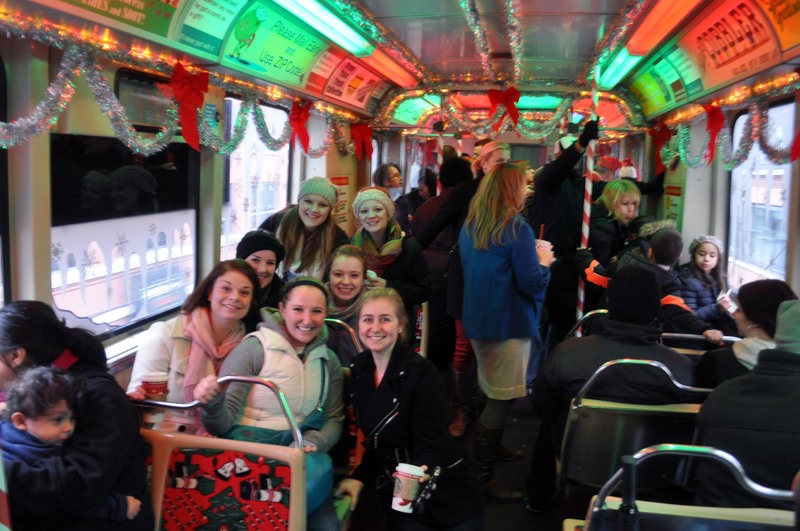 On Saturday, the following day, we rolled out of bed and took the Red Line to Millennium Park to ice skate at the McCormick Tribune Ice Rink. A few friends rented skates from the park for $10, but I brought some old skates from home so I got to skate for free. It rained a little on us, but it was still a blast. 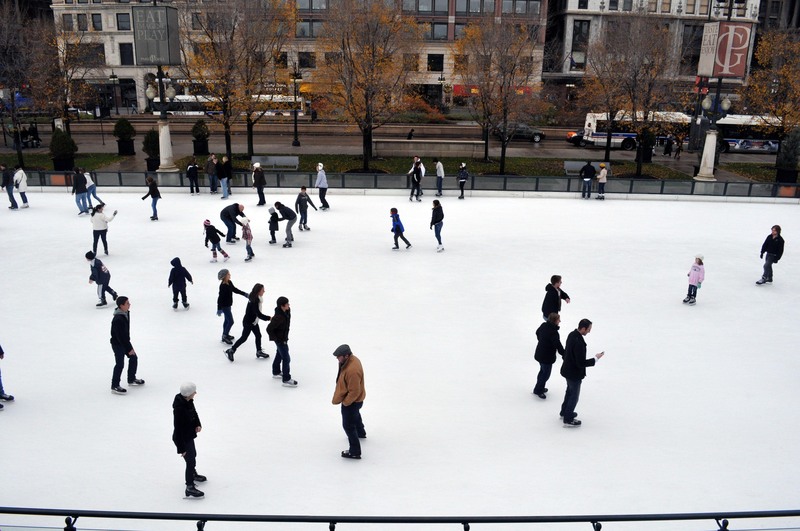 The rink wasn’t too busy because of the questionable weather, so we had lots of room to ourselves! Every year, the CTA runs a Holiday Train that travels across the whole city. After leaving Millennium Park and grabbing hot chocolate from Starbucks, we headed over to the L stop at Madison and Wabash to catch the Holiday Train on the Brown Line. 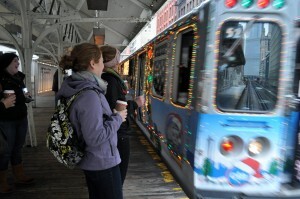 It was magical– it was like we were riding the real life Polar Express. It smelled like cinnamon and was decorated with all kinds of lights and ornaments inside and out. You can find detailed schedules of where the train will be at what times on the CTA’s website— I recommended tracking it down before it’s gone for another year! 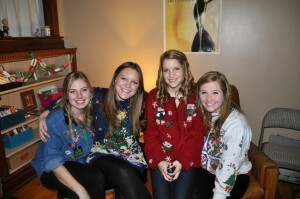 I finished my Saturday with friends at our ugly sweater party. It was put on by Cru, a Christian student organization I’m involved in on campus. A bunch of us dressed up in overly festive garb and hung out and listened to Christmas music. 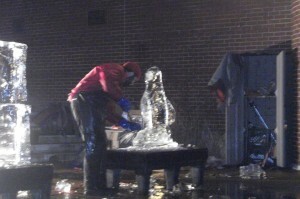 In my opinion, it was a pretty great way to spend our chilly Saturday night. There are so many fun and festive things to do in the city this time of year, and the best part is, you don’t have to spend a lot of money to have a great weekend with friends. I am looking forward to heading home at the end of next week for the holiday break, but definitely not looking forward to leaving behind the beautiful lights and sparkle of the city during the holiday season! 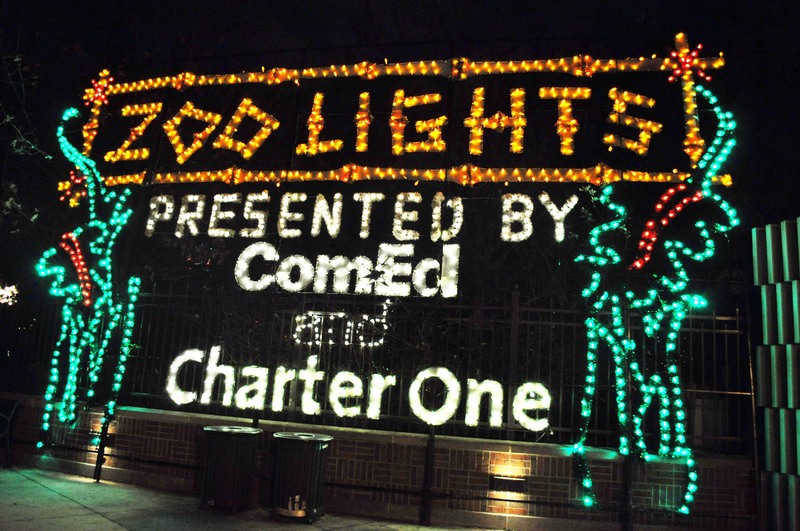 Chicago is all a glow with holiday lights, including Lincoln Park Zoo. 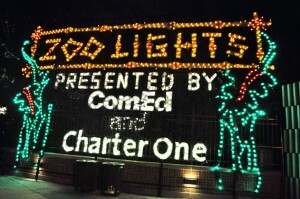 Starting in December, they are open until 9 pm and show off all the amazing lights they’ve decorate the zoo with. The animals don’t seem too like the lights too much, as many were hiding. While some exhibits were closed, a good number were open and had animals ready to greet you! Especially the penguins! Enjoy some of the photos I took, and definitely check out this annual event!